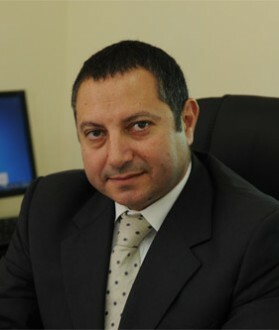 Badih Moukarzel is the managing partner of Huqooq Legal Practice (HLP) for the UAE offices. He has extensive experience in the hotel and leisure industry both within the GCC region (Gulf Co-operation Council for Arab States of the Gulf) and internationally. There is a particular complexity in corporate structures for companies operating in the region relating to the differing laws and regulations of individual states, which can produce conflicting requirements on a group of companies operating in the region. Badih has particular experience in the structuring and restructuring of groups of companies so as to achieve the optimum solution in terms of management control and tax mitigation. Badih combines a particular diversity of commercial and academic experience. Not only did he spend 5 years in Paris with a hotel and restaurant group with businesses in London and Eastern USA as well as France, acting in an executive role for legal, tax, finance and management administration issues but he is currently a visiting lecturer in administrative law, tax and public international law at the Université Saint Joseph as well as being the Founder and President of the Environmental Association in Lebanon (Action Environnement). Acted for private equity investors in the acquisition of a major shareholding in a builders supply company including the establishment of a Saudi Arabian share holding company authorized under SAGIA (Saudi Arabian General Investment Authority), developing a corporate structure reflecting not only Saudi’s accession to the World Trade Organisation and the reserved matters but also the exit strategy of the investor, including establishment of a corporate Saudi structure (limited liability company) to substitute for the initial local company’s business and combining specific Islamic finance instruments such as mudaraba loan. Advised on Zakat issues (charity religious tax on capital ) in Saudi Arabia for Saudi citizens and GCC residents in the Kingdom. Acted for private equity company in relation to their investment in credit card plastics and technology company including establishing an offshore share-holding company and creating corporate structure to address tax mitigation and management control issues consistent with the investor’s exit strategy. Advising major international hotel group on the structure for its business in the GCC region and on particular transactions in GCC States; in particular advising on real property and construction issues for a hotel and residential complex in Dubai, technical and services agreement, on-shore and off-shore operation agreements, licence agreement and pre-emption arrangements real property rights which have been recently introduced in Dubai since the establishment of the Land Department and condominium regulations. Advising European hotel and leisure group on proposed 12 hotel developments in GCC region including advice on corporate structuring from tax and management control issues. Acting in Lebanon as attorney and advisor for Council of Construction and Development on a dispute before high Council of States (Conseil d’ Etat) on issues arising from a lease structure entered into by a previous administration in contravention of the provisions of the Civil Code including compensation claims by the lessee. Advising purchaser of majority shareholding in the concessionaire for the Lebanese postal services including renegotiating the existing project agreement with the Lebanese Ministry of Transport and Telecommunications to enhance the scope of services to be provided. Advised on environmental issues including drafting laws and regulations for the Lebanese Ministry of Environment. Appearing before the courts in respect of the unlawful disposal of waste. Acting as legal expert before ICC arbitration proceedings on UAE commercial representation issues. Advising on issues arising out of major coastal contamination as a consequence of military activities.